A collage from the black and white comic I started but have yet to finish. stage three... completed panel, sans word bubbles. 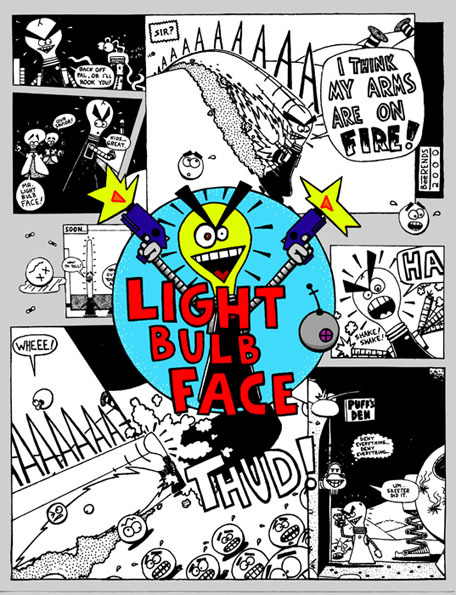 "Light Bulb Face", copyright 2005 Piet Beerends.